Richard Ashcroft and Coldplay will now be forever linked by their Live 8 performance last summer in London. 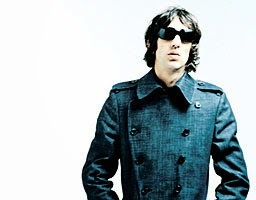 The two British acts came together for a powerful rendition of Bittersweet Symphony, the huge breakthrough hit by Ashcroft’s former band, The Verve, which fuelled sales of their 1997 breakthrough release, Urban Hymns, to seven million worldwide. Now Ashcroft finds himself opening for Coldplay at the Air Canada Centre for sold-out shows Wednesday and Thursday. Just don’t expect them to play during each other’s sets. The two artists met through mutual friend/DJ Wayne Griggs. The end result was that Ashcroft — who is now father to two young sons with wife Kate Radley — went on a European tour with Coldplay. It worked out so well that he decided to do another three weeks in North America. Ashcroft says because he’s the support act, he only plays for an hour without his full stage production. “You don’t have all the, for want of a better analogy, Nuremberg Rally buttons to press,” Ashcroft says with a laugh. Still, both he and Martin have discussed the effect a potent song — delivered by the right singer and the right band on the right stage — can have on a large crowd. For now, Coldplay’s supporting slot will more than suffice. In the meantime, Ashcroft’s obsession with strings continues on Keys To The World, released earlier this year. Don’t forget that Bittersweet Symphony famously sampled an orchestral version of the Rolling Stones’ The Last Time. In fact, Ashcroft is planning a DVD that will feature him performing surrounded by an orchestra and would love to tour one day with strings. He also embraces American soul on Keys To The World, specifically sampling Curtis Mayfield on the new song Music Is Power. Ashcroft does see songwriting as a way to get some pretty big ideas out into the world. For instance, the new song Why Not Nothing? challenges political and religious figureheads while the title track examines social imbalances. Luckily for Ashcroft, the consensus is that he’s back at the top of his musical game with such big-sounding, epic new songs as the aforementioned Why Not Nothing?, the title track, Cry Til The Morning and Simple Song. But the singer-songwriter says he doesn’t pay attention to such proclamations — good or bad — only personal attacks.